This is the time of year when it’s handy to have an appetizer on hand that will wow your guests. This Festive Greek Dip, deceptively easy, is definitely a crowd pleaser. It all but disappeared at our office luncheon last week! There’s no magic science to the proportions of ingredients, but here’s the general lineup. 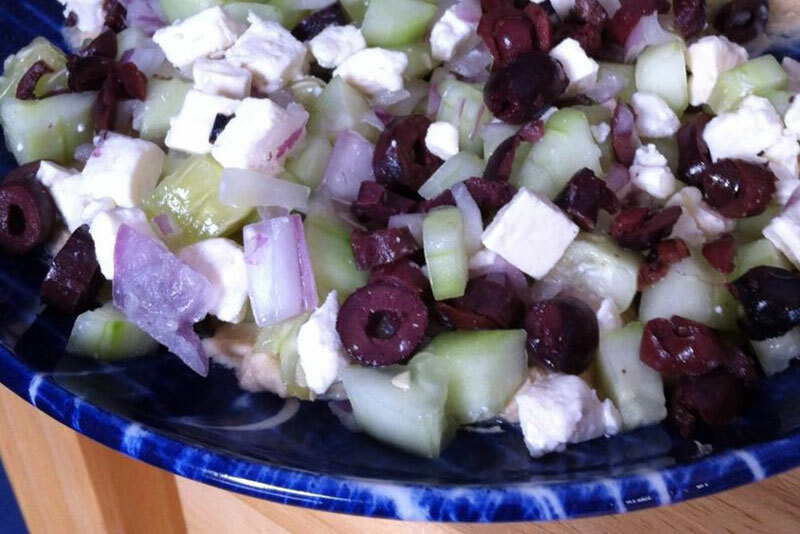 Mix the cucumber, olives, feta, and onions together. Let sit for an hour or so to let the flavors blend. Spread the humus out on a platter or dinner plate. Spread the cucumber mix over top. Sprinkle with the dill. Serve with tortilla chips and watch it disappear.